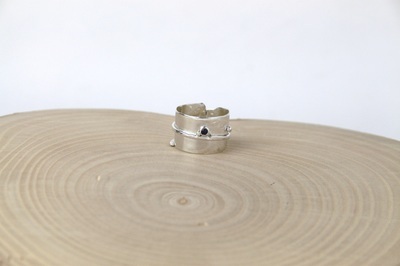 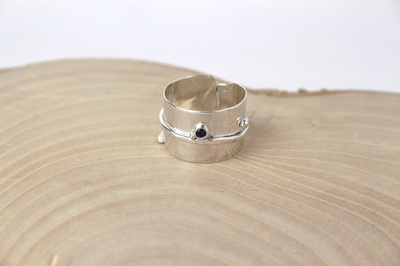 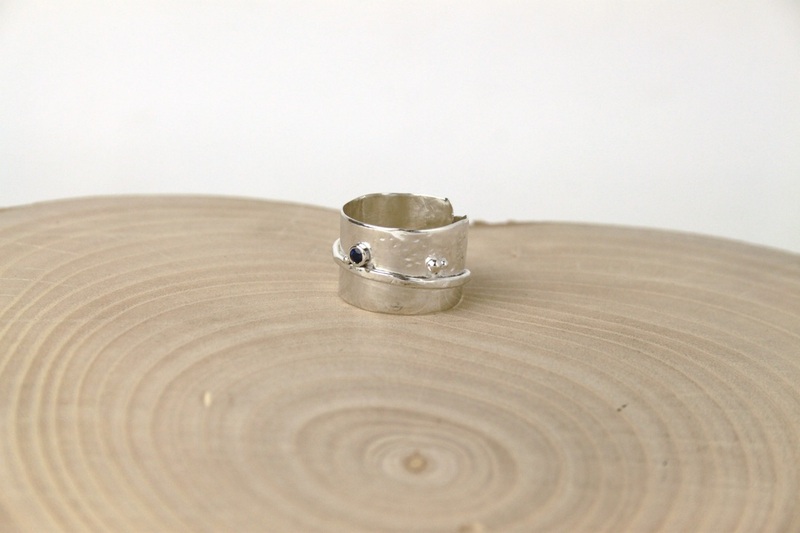 A sterling silver band ring with a blue sapphire. 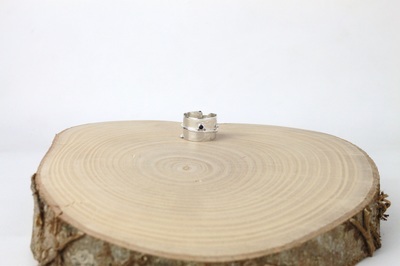 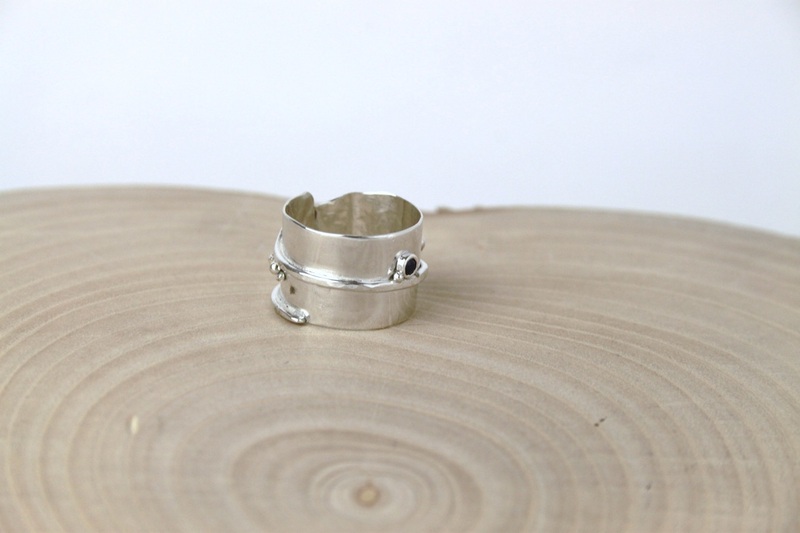 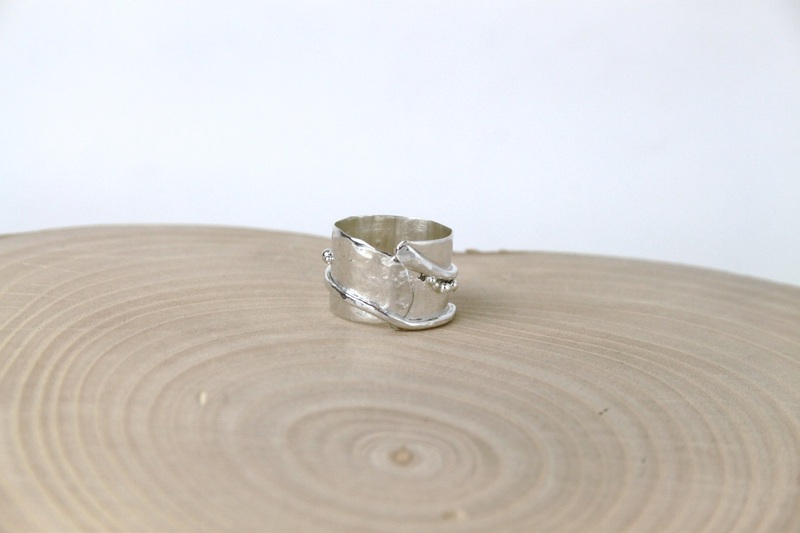 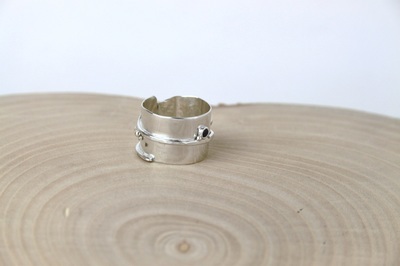 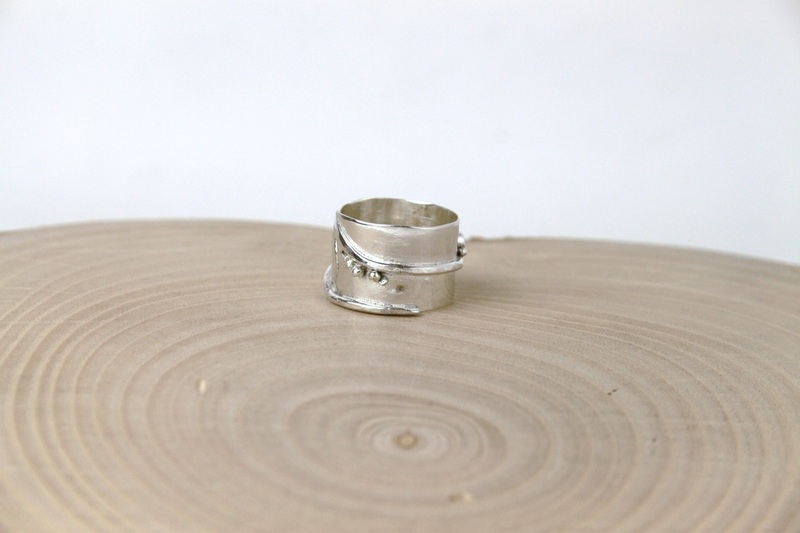 The band is textured with solid silver round balls soldered onto its sides and is polished to a shiny finish. It is 15mm high and ring size Q.